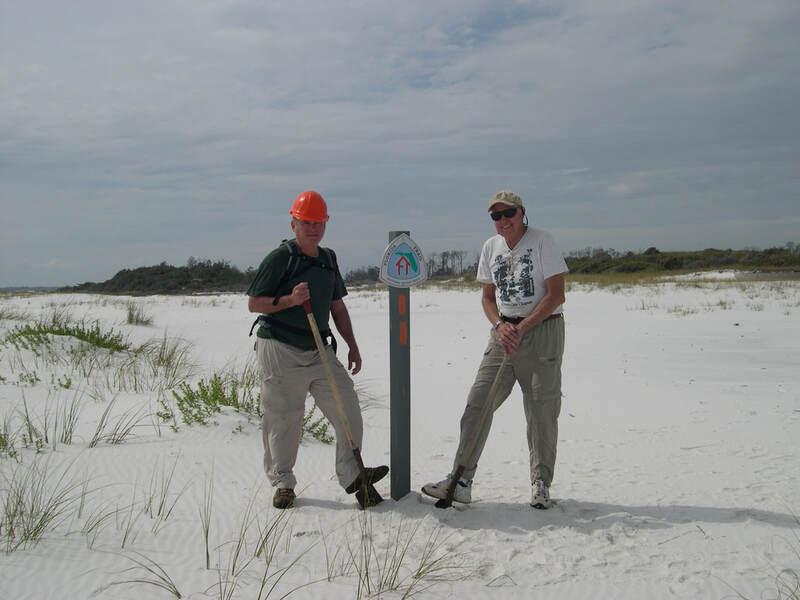 The Seashore Trail stretches from the kiost near Fort Pickens in the Gulf Islands National Seashore, eastward to Navarre Beach, then across the Navarre Beach bridge to Navarre itself. Click here for a map. 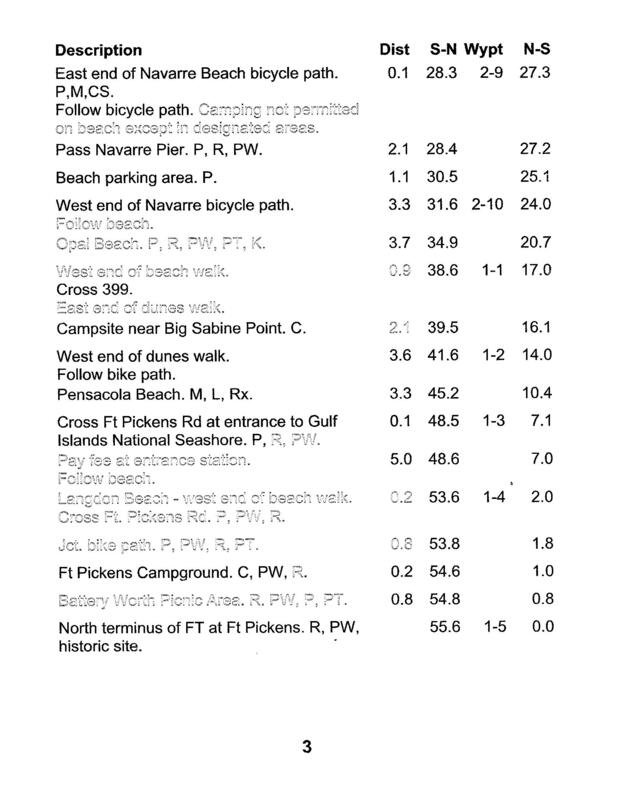 Through hikers should be aware that camping on the beach is illegal except for campgrounds at the fort and a small, primitive campground at mile point 16.1. For a list of mileages and the location of parking lots (P), restrooms (R) and water (W) click here. ​ Much of the trail is on the shore of the Gulf of Mexico, but two short pieces are available to the day hiker. The first begins at the fort itself, which marks the start of FNST, and travels two miles through the picnic area and campground to Langdon Beach. The second begins at a kiosk, which is located on the paved bicycle trail few hundred yards east of Portofino Towers, the last high rise condo on the beach. This trail takes one through the dunes on the north side of the beach for about three and a half miles until it rejoins Rt 399. One may return to the starting point by following the paved pathway along the road.